It is suggested to be used after cleansing your face because it is a multi-function product that allows you to complete your skin care routine in one step. 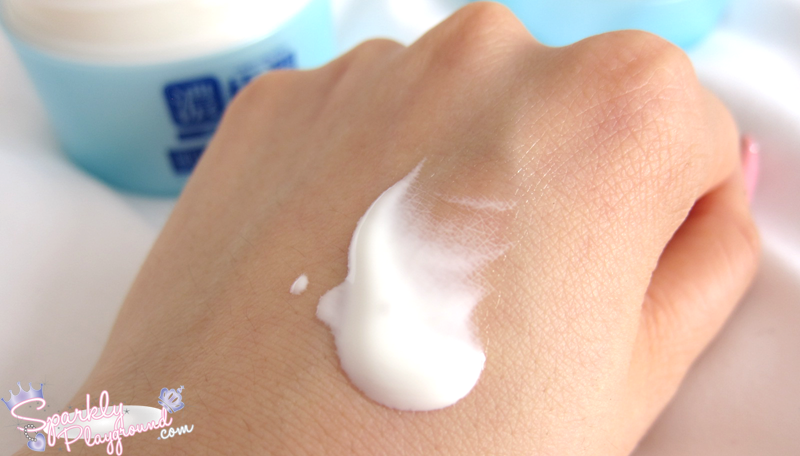 For me, I still use it only as a moisturizer + SPF without skipping the steps. Later I found out that it was only released on February 17, 2014 nationwide so it is so new that you can't find it exported to other countries yet! 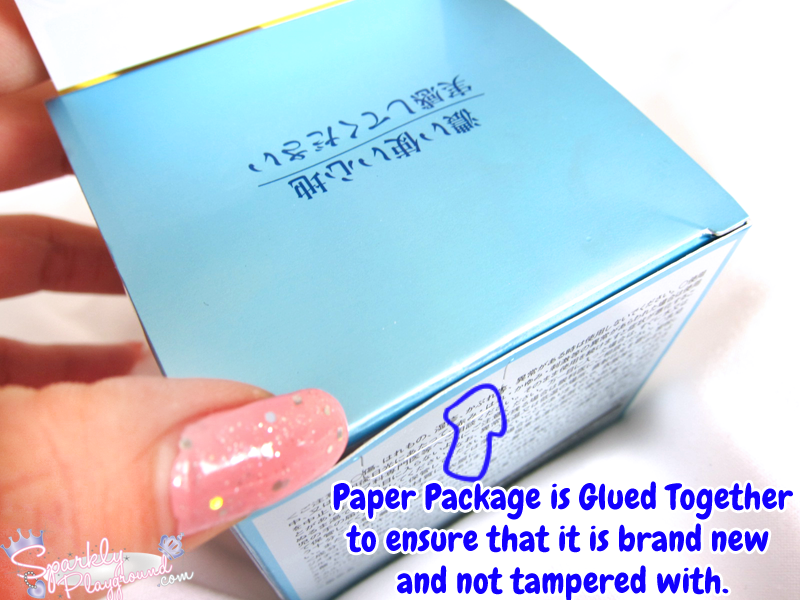 Starting with the packaging, it's wrapped in a paper box with a security feature where the lid is glued. So you will for sure know if it's new or not. I really like this feature because it saves the environment by not using an extra plastic wrapper or a foil lid etc. 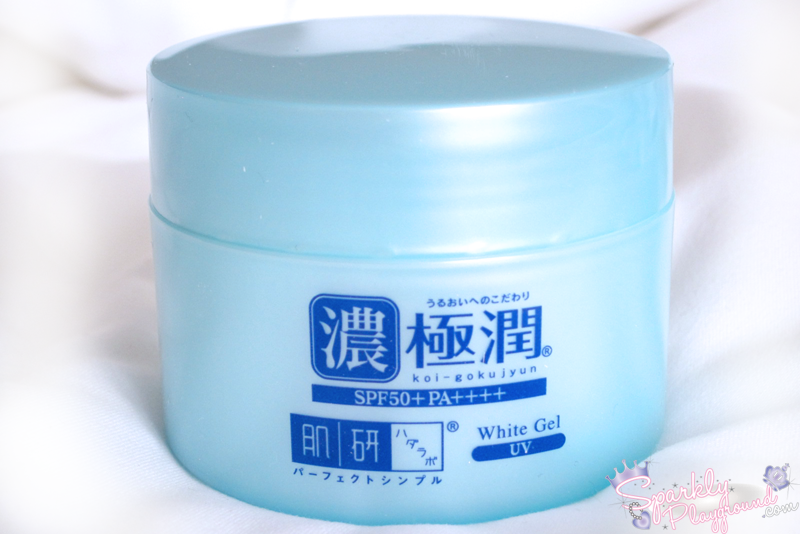 Although it's been named as a gel but it feels more like a lotion milk. Very easy to be spread out and absorbed. It takes a really good nose to sniff the typical sunscreen scent but honestly, it's barely there. 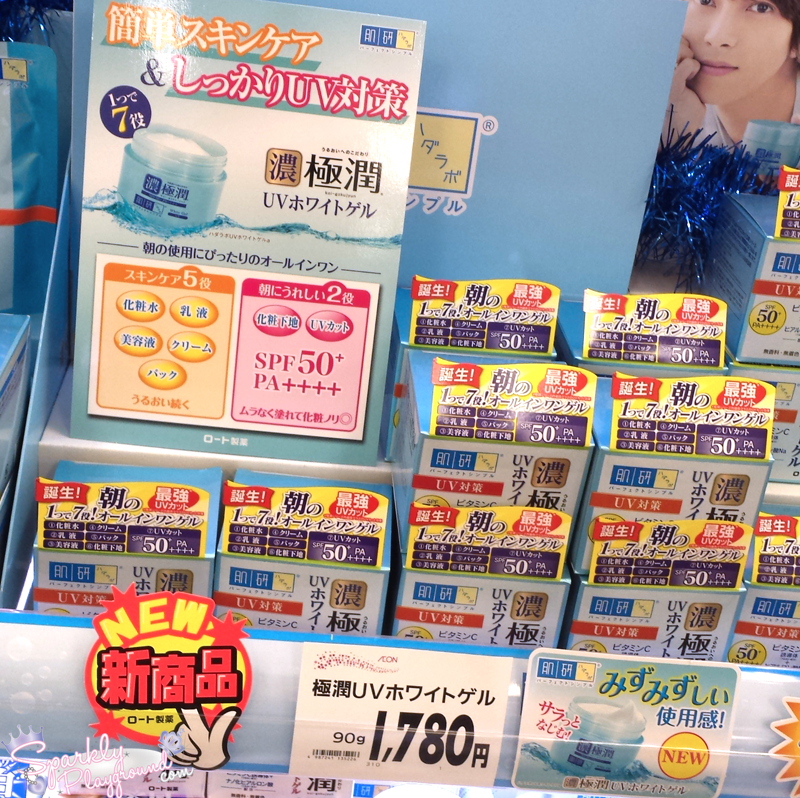 From the directions of the product, you can use it directly after washing your face as it is an all-in-one. However, maybe because I'm extremely dehydrated and dry, it was a bit drying for me to use it in that way skipping all the steps. I have to still do the full routine and use the product as a moisturizer + SPF as my last step. 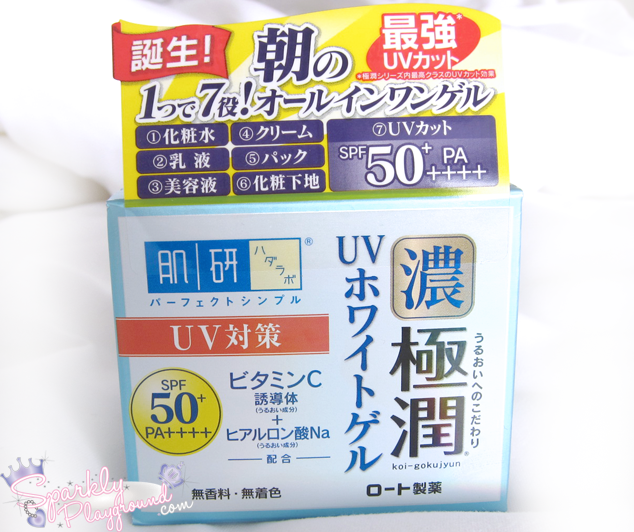 I always apply avoiding my eyes area because my eyes are super sensitive to SPF product and this product was no different. If I apply too close to my eyes, my eyes feels irritated (tingly and painful) and will start tearing up. Finally, the ingredients part is a love/hate situation. My beloved ingredients - Hyaluronic acid combination of the three (Hyaluronic acid, hyaluronic acid nano, super hyaluronic acid) are all there!! On the other side though, this product also has silicone and paragons so it's really depends on what you prefer. 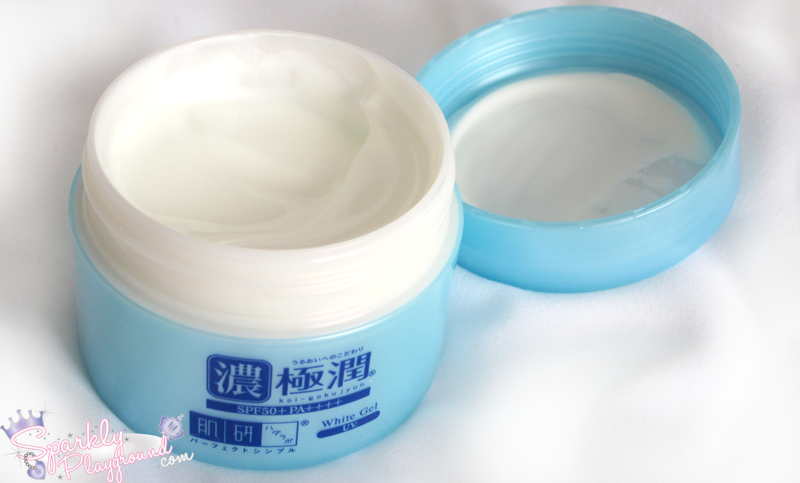 I personally love loveee love Hyaluronic Acid so this product is still a winner!